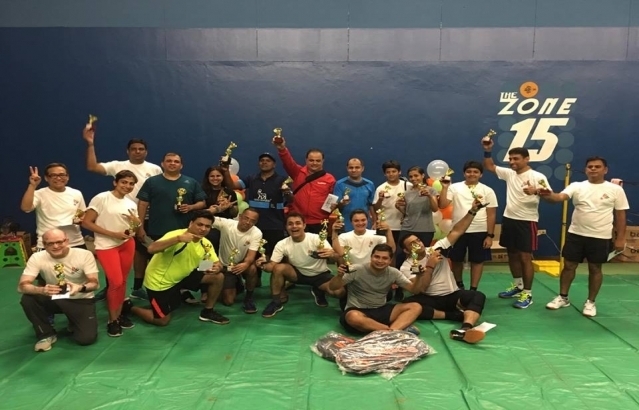 Ambassador Jaideep Mazumdar inaugurated the Indian Expatriate Badminton Tournament on 21 October 2018 and gave his opening remarks. Around 100 participants took part in the tournament organized with the support of the Indian Embassy. The tournament was first of its kind to be organized in Manila. De La Salle University Professor Renato De Castro visited Ambassador Jaideep Mazumdar on 12 March 2019 to discuss important issues regarding India-Philippines relations. Citizens of the world come together to celebrate Kumbh - India's intangible heritage! The world in one frame as Prime Minister Narendra Modi and EAM Sushma Swaraj join citizens from 182 countries who had come to participate in the largest gathering of humanity on earth. H.E. Ambassador Jaideep Mazumdar met Ms. Diljune Etpison Ngiraswei of Palau during her visit to the Embassy of India in Manila. Ms. Diljune would be leaving for India today to participate in the Kumbh Mela 2019. India Tourism Office, Singapore participates in PTAA TRAVEL TOUR EXPO from Friday 8th till Sunday 10th at SMX near Mall of ASIA, Pasay, Manila. ICGS Shaunak arrives in Manila on 1st February 2019 on the occasion of Indian Coast Guard Day. The Embassy of India celebrated the 70th Republic Day of India in Manila. The Indian Food Festival 2019 was organized by the Embassy of India and the Ministry of Tourism of India as part of the celebrations of the 70 years of India-Philippines friendship. Embassy of India in Manila organized a Flag hoisting ceremony at India House on the occasion of 70th Republic Day of India.The programme began with H.E Ambassador Jaideep Mazumdar hoisting the National Flag, followed by the National Anthem.Amb. Mazumdar also read out the President of India's message to the nation on the occasion.The event was attended by a large gathering including members of Indian community , representatives from diplomatic community and Friends of India.The Embassy officials and their families presented a cultural programme which was much appreciated by the gathering. To kick off the celebrations of the 70th anniversary of the establishment of diplomatic relations between India and the Philippines, the Embassy of India in Manila organized a concert of Indian Dance which featured Ms. Amrita Lahiri, a young and highly renowned Indian Classical Dance exponent at the BGC Arts Center on January 20, 2019. A 23 member strong delegation from Pharmaceuticals Export Promotion Council of India (PHARMEXCIL) visited the Philippines from 16-18 January, 2019, as part of their three nation tour; the other two countries being Vietnam and Indonesia. "The 6th India Business Forum (IBF) meeting was held on 08 Jan 2019 at Annapoorna Restaurant. Mr Bertie Ezra presided over the meeting in the absence of Mr Pushkar Misra, the President. ‘Articles of Incorporation' and ‘By-laws’ of the forum were discussed and members unanimously elected Mr. T.K. Ramesh, as Vice President and Mr. Shanti Sipani as Treasurer. Ambassador Mazumdar updated the members of the latest developments in India-Philippines bilateral relations since the last meeting. Mr. Berti Ezra, who is shortly leaving Philippines for good, was given a farewell and presented with a ‘memento’." To kick off the celebrations of the 70th anniversary of the establishment of diplomatic relations between India and the Philippines, the Embassy of India in Manila organized a concert of Indian Classical Dance which featured Ms. Amrita Lahiri, a young and highly renowned Indian Classical Dance exponent at the BGC Arts Center on January 20, 2019. The 6th India Business Forum (IBF) meeting was held on 08 Jan 2019 at Annapoorna Restaurant. Mr Bertie Ezra presided over the meeting in the absence of Mr Pushkar Misra, the President. ‘Articles of Incorporation' and ‘By-laws’ of the forum were discussed and members unanimously elected Mr. T.K. Ramesh, as Vice President and Mr. Shanti Sipani as Treasurer. Ambassador Mazumdar updated the members of the latest developments in India-Philippines bilateral relations since the last meeting. Mr. Berti Ezra, who is shortly leaving Philippines for good, was given a farewell and presented with a ‘memento’. © 2018 Embassy of India, Manila, Philippines. All Rights Reserved.